It’s safe to say that property is in Jessie’s blood with her family being deeply entrenched within the industry. Whilst it was always inevitable Jessie would enter the property industry herself, she first went on to work in customer service after graduating from PLC where she learned invaluable communication and relationship building skills. Approaching her fifth year in real estate, Jessie has become an integral part of the Abel McGrath family thanks to her industry knowledge and unflappable nature – nothing can ruffle Jessie’s feathers or sway her focus! 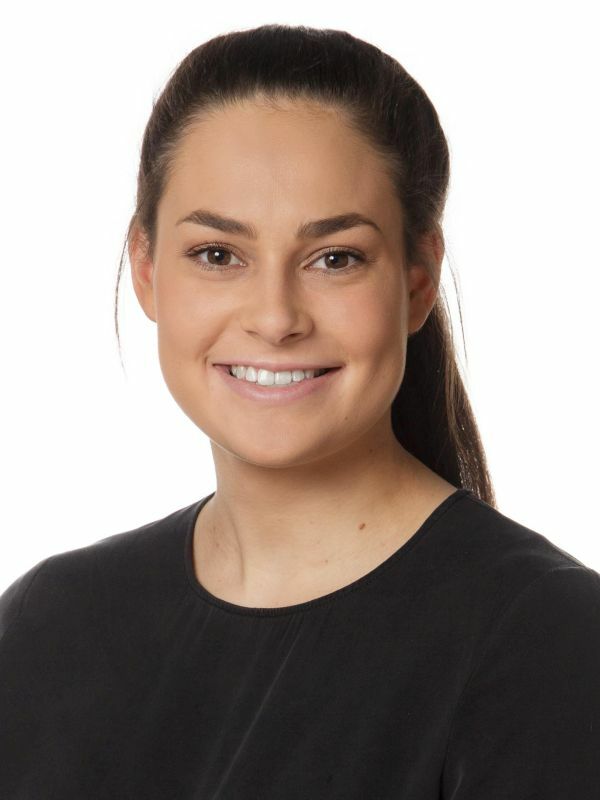 Like many of her team members, Jessie loves the diversity which comes hand in hand with a career in property with no two days ever being the same. Not one to take no for an answer or settle for mediocrity, Jessie is always pushing the envelope and striving to provide the best possible customer service. In her spare time, Jessie loves to be with her dogs and her family or friends. Jessie also loves getting stuck into a good TV series, enjoys good food and in turn spends a lot of time exercising! The McGrath team worked like a well oiled machine to sell my home after a 4 week marketing campaign. I was advised on the best marketing strategy and house presentation, and kept me informed of developments throughout. The procedures employed ensured that everything ran smoothly. The McGrath team extracted maximum interest in the timeframe to ensure there was a competitive sales process. Thanks for your the professional job well done! We came across Simon 4 years ago when buying a house through another agent he was very proactive at chasing interested parties. So when selling 2 Batnfield Road he seemed like a good choice. The partnership with John Hunter works very well you can always get one of them on the phone. John even answered texts at 10.30pm. John had a very good understanding of the potential buyers. The girls in the office were great and very proactive. The weekly reports were good haven't had that before when selling. Very positive experience glad we stuck to our guns on reserve price at auction. The whole team were a pleasure to work with, the after sales service was especially professional. My wife and I have recently purchased and sold though Simon and his team, John, Alice and Jess. Circumstances around the sale and purchase were not ideal as it was an unplanned move and just as we were about to start the Auction sales process on our Mt Claremont home we were off on a 2 month overseas holiday. Despite the circumstance Simon and the team did a fantastic job in uncertain market conditions and achieve a great result with our house selling and settling in a little over 8 weeks providing us much needed comfort to move forward with the purchase of our new home in Swanbourne. The purchase of the new home was equally as smooth with settlement taking place on time and without issue. Thanks to Simon and team Mcgrath! We were very happy with Simon McGrath as our selling agent. Simon and John are very knowledgeable, realistic, efficient and above all diplomatic. Every communication we had with them was dealt with promptly and politely.The other staff members Alice, Jess and Donna were also extremely helpful. All of this reduced our anxiety levels because selling your home is naturally a hard thing to do. It is emotionally challenging and having a supportive sales team makes all the difference. I have been happy with the service I have received from Simon and John and the office staff. ...... all very kind and helpful and questions answered. Thank you. We had an excellent experience dealing with Simon and his team. He has great local knowledge and demonstrated a high level of professionalism. He sold our property even before it went on the market. I have no hesitation in recommending him. This rear, 3-bedroom, 2 bathroom townhouse is a must view for those searching for a low maintenance home so that they can make the most of the coastal lifestyle! Big family home with lots to offer - 5 double bedrooms and 3 bathrooms, 3 of the bedrooms have Juliet balconies. The upper floor offers excellent views over the suburb with ocean glimpses. Situated in a quiet neighbourly street just a brief walk to the vibrant Rokeby Road entertainment precinct is this circa early 1920's home. This fabulous unfurnished home in the heart of Doubleview is now ready for the next lucky occupants to make it their own. With four well proportioned bedrooms, two bathrooms a double lock up garage and easy care courtyard this home is sure to please. This fabulous unfurnished townhouse offers a location that is close to everything yet far enough away so that you can create your own hideaway. What will strike you from when you first enter this gorgeous unfurnished townhouse is how much love and care the owners have put into the property. This recently updated 3 bedroom home is a pure delight! Set back from the road down the long driveway you will be coming home to your own private sanctuary surround by greenery and tall mature trees. Step inside and you will find that there is a vista from nearly every room in the house. Presenting this wonderful home located directly opposite Churchlands Senior High School parklands, in the much sought after Woodlands location. Neat and tidy three bedroom, two bathroom property close to all amenities. Walking into this rear villa you will be please with the light bright feel. The master bedroom includes built in wardrobe, AC and ensuite. Sometimes when you walk into an apartment, you immediately feel relaxed and comfortable within the 'space'. This one… is definitely one of those. There is certainly nothing average about this top floor unit in a complex that backs onto a small lake. A super large living space that opens onto your own balcony where you can watch the world go by and brand-new carpets are just a few things you will love.